Categories > In The Water > cold water surfing advice? I know this may be a long shot, but I figured I'll try. Do any of you surf cold water? The water temps where I'm located have slipped into the high 30's and dropping almost daily. 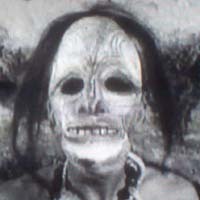 I was o.k. in the low 40's with air temps in the low 20's, but now I'm afraid I'll freeze to death and turn into a pop sickle. I wear a 5.5/4 wet suit, 7 mil lobster claw gloves and 5 mil booties. Can I wear my merino wool socks and long underwear under my wet suit? Would a rash guard help? I've seen 1 mil wetsuit socks or should I buy thicker booties? A thicker wet suit is not an option this year. I've got the changing into my wet suit in the van down, but I have to figure out how to remove my wetsuit in the van. Outside its starts to freeze and it's pretty difficult to remove. (chest zip style) haha! I wear a zipper less rip curl 6-5-4. W 7 mil boots an gloves. Sometimes a little vasoline on the face helps. But most importantly, I pick days that not a lot of duck diving is necessary to make it out. A day that has a bit of "lulls" in the swell are best. Good for you to get the ambition to surf when it's cold! It also always helps to have a friend to help motivate you, and yank that suit off when ur done lol. I forgot to mention I'm surfing Lake Erie. My board is 7' 6" and about 53 liters. No duck diving for me. I just get slammed on the way out. The only swell we get is wind swell and the longest period I have seen is 6 seconds. If there is a lull, the waves are dying. I usually surf in "victory at sea" conditions......ha ha! I like the idea of surfing with a buddy, but unfortunately I surf alone. Not smart I know. I've got the motivation part down though! I start looking at the winds a week out and keep an eye on them daily. When I see the words "Gale Warning" in the forecast i get a little excited. haha! Here on the shores of Lake Michigan, I have a friend who owns one of the skateparks here and is also a Great Lakes surfer. I can get you in touch with him if you're interested in getting tips from him. I started a fresh water surfing thread, but you're the first member I know of who is actually fresh water surfing (unless you count Foz, who once lived in Michigan and was into the surfing scene there). Here is the thread, in case you're interested http://bulldogskates.websitetoolbox.com/post/fresh-water-action-4946507?pid=1284837221. 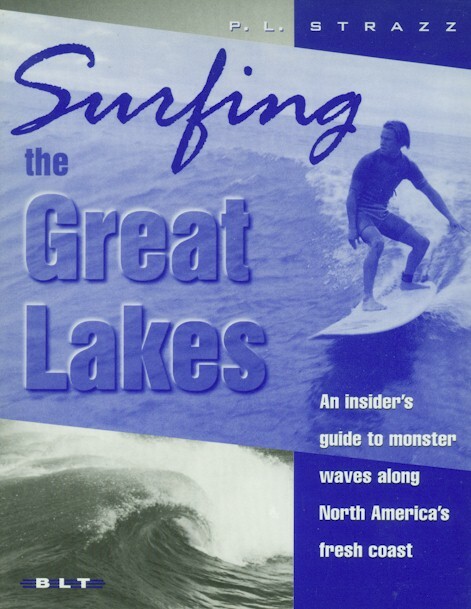 I think a must have for any Great Lakes surfer is the book Surfing the Great Lakes. I have the book and looked for info on wet suits, but there's not a lot in there. It just says for water under 50 degrees, you should have a suit at least 5mm thick. It also says hood is a must and ear plugs help you avoid vertigo. I'm pretty sure a lot of surfers use dry suits, but I don't have specific information on that. Yes, a modern wetsuit in 5/5/4mm or even 5/3mm is good enough. Wetsuit technology has come a long way. While a 5/4mm wetsuit didn't keep me warm longer than 1 hour, let's say, 15 years ago, the modern wetsuits aren't just way more comfortable and stretchy than the old ones but also insulate much better and longer. Means I can have surf sessions in freezing conditions up to 3 hours. A well fitting wetsuit is a must, though. 7mm gloves and 5mm booties are perfectly good. Again, they should fit well. Better a bit tight when you buy your neoprene than too wide. And, no, you should not wear merino socks and underwear under your wetsuit and in your booties. To perfectly insulate and keep you warm as long as possible the neoprene has to be of a snug fit, so the water that can get into your wetsuit, gloves, booties and hood is minimized. The water that gets into your neoprene stuff warms up in that small space between your skin and the neoprene. The smaller that space is the better. Would the space between skin and neoprene be bigger because of an ill-fitting wetsuit etc. you would have more water inside. And all this water would not warm up as well, so you would feel cold earlier. Socks and underwear increase the space between skin and neoprene, so it's inadvisable. I would not wear a rash guard under a wetsuit. Just smear some vaseline onto the areas where you usually are prone to surf rash. You know, like around your neck, in your armpits or wherever. A bit vaseline in your face helps with really bad wind chill. You didn't mention a hood. Does your wetsuit come with one? You'll definitely need one. Carrot !!! Where you been ??? I know it's been a few years, but are you still vacationing in the Outer Banks in summer? If so hit me up, We're down there every summer and only about a 2 hour drive if we're not. Drive that far for good surf as often as possible, although prefer to do it when it's WARM !!! Been surfing for 40 years now summer and winter. Even though in my place (Biarritz, France) water doesn't really go below the mid 40. Wetsuit back in the day were not as good as now.But the new ones are definitively better. I wear a 5/3 in winter. One other thing is sure, "protecting" the head makes cold session really easier. Steven : your post is so precise and perfectly true. You're the boss ! Do you have penguins as neighbours? I was out this morning, surfing in a cotton rashtop and boardies with an ambient temperature expected today of 30'c (not f). I'm not sure I would even go outside in that temperature, let alone the water. 70sSkater: I'm going to check out that thread and possibly get that book! Thanks for offering to get a hold of your friend for me, but knockknock answered my question perfectly! knockknock: Awesome! That's what I was looking for. Thank you for taking the time to type that out. I wear an o'neill psychotech 5.5/4 hooded wetsuit that fits me well. i don't have much experience with different wet suits, but I think I've got a good one. I can't believe how warm it has kept me when the temps were in the mid to high 40's. SPinVB: Hi Steve! How's it going!? We've been re-bitten by the motocross bug the past few years. At least, I got a final layer of ply on our halfpipe this fall and have been riding the 8 wheeler again, so that's good news! This summer will be our 20th year visiting the outer banks. 20 years!! I'll be in touch before we leave. Thanks for calling me "surfer". That made me smile. skateight: nope, not gonna wear anything under my wetsuit. brightredmegaphone: Nope, no penguins as neighbors. Just a bunch of deer, coyote and other critters running around our woods. Lastly, I would like to thank Wes for allowing me to use up a bunch of bandwidth or whatever it is called typing this novel. I know my opinion doesn't matter but, you did a fantastic job on the artwork on the super pig 44"! It is just awesome! I look at it almost daily. Don't surf alone. Especially not in winter. Eat well before your surf session. Surfing in the cold in thick neoprene is more exhausting than surfing in boardies in warm summer. You'll need the extra calories. Warm up before your session. For example do a couple short sprints in full neoprene on the beach and some light stretching. Have a Thermos bottle with hot tea, coffee, water etc. ready in your car or on the beach for a break during or for after your surf session. Oh, and one thing: Your wetsuit legs should be over resp. overlap your booties not the other way round. Same with your wetsuit arms and the gloves. I found out the hard way when I had my first winter sessions back in the 90s. Did it the wrong way round and I had cold feet and fingers resulting from cold water constantly flushing my booties and gloves. The closest spot I surf is an hour and a half away. When I can take my wife's van I have the heat cranked up and the seat heaters on full bore the whole time. I used to take a gallon jug with the hot water to rinse off with, but I don't do that anymore. I do eat well before and yes, I am usually exhausted by the time I get home. Surfing is one of the most physically demanding things I have ever done! Yup, wet suit over the booties and gloves. Thanks again for your time knockknock! Anyone out there close to Ohio want to go surfing? Piddles and the Pittsburgh crew? Looks like you should join the Facebook group and arrange some sessions with other surfers https://www.facebook.com/LakeErieSurfing/?fref=ts. Couple of websites you may want to check out. The Great Lakes surfing book lists a lot of surf spots on the Great Lakes. A good video of Ian Crane. Lake Superior, I think? I may post in the Fresh Water thread too. Looks like sleeve over glove. surfing the baltic sea i'd add that it's really helpfull drinking super-spicy ginger tea from your thermobottle and i smear face and my feet with vaseline (which also helps me to get out of my supertight wetsuit a good bit faster after the session). a friend of mine told me that these Hotskins seem to work and going to the sauna once a week also seemed to help me. You people are out of your rabid-assed minds. But I admire your commitment!